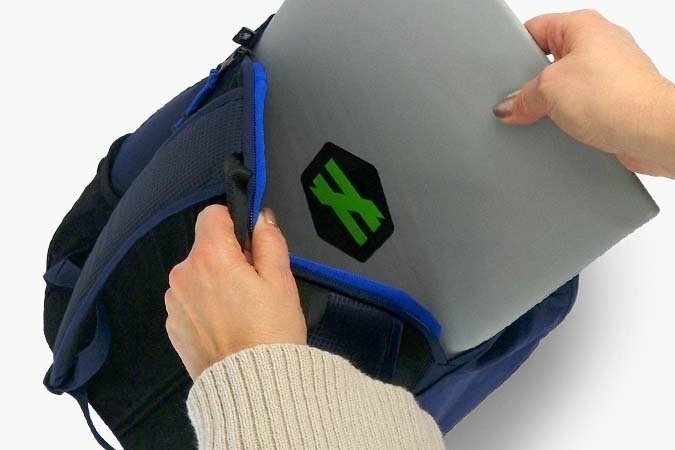 Outgoing eighth-graders at St. Cornelius Catholic School, a private school in Chadds Ford, Delaware County, will commemorate the start of high school, like many students, with an updated backpack. There's one big differentiator, however: theirs will be equipped with bulletproof shields. Glen Mills-based sportswear company Unequal Technologies donated 10-by-12 inch bulletproof plates, dubbed SafeShield, to each graduate in an assembly on Tuesday. According to Robert Vito, CEO at Unequal Technologies, the gunfire-resistant plates weigh about 20 ounces, measure a quarter-inch thick, and fit into a backpack. "It's sad that times have called for such a product to be invented," Vito said, presenting the students with their gifts. "But we have answered the call." Vito's daughter is a student at St. Cornelius. According to the Huffington Post, the school principal Barbara Rossini asked him to develop the school-specific product. "Anything that we can do to protect our children and our staff – that's my job, to protect them," Rossini told FOX 29. Though the students got their plates for free, the retail price would set the average customer back $149.99 a piece. In an effort to appeal to students, the company offers a discounted $99 rate to schools that buy in bulk. This is not the first renewed security measure to hit the school. Identification is required at the door for entry to St. Cornelius, where cards are scanned before people are admitted. Earlier this year, two Pennsylvania school districts announced unconventional security measures. The Blue Mountain School District in Schuylkill County said it was arming teachers and students with buckets of rocks. In the Millcreek Township School District, teachers issued 16-inch wooden mini-bats as a reminder to fight a school shooter if necessary.